Happy Saturday! 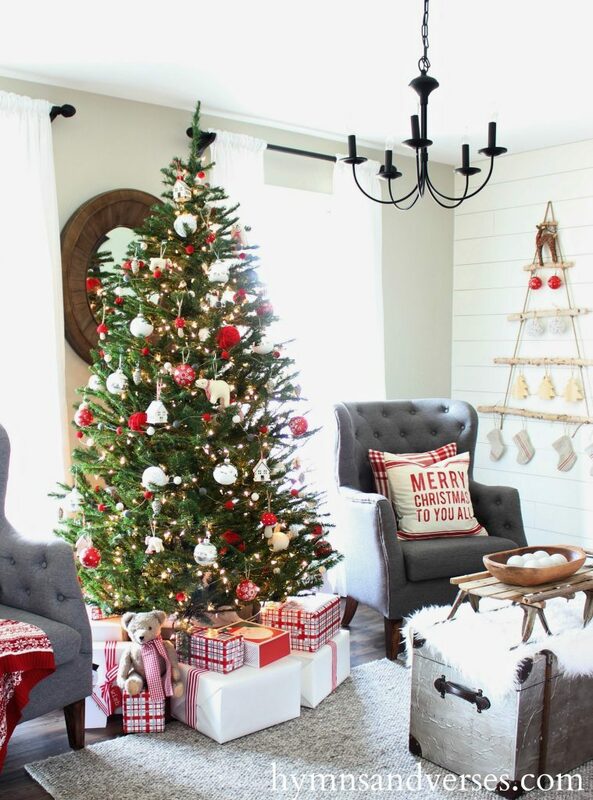 Today I thought it would be fun to share a few of my favorite things – Christmas decor. 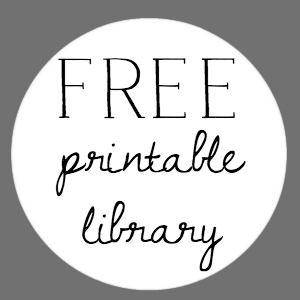 Some of these I have in my own home and some are on my list for this year! 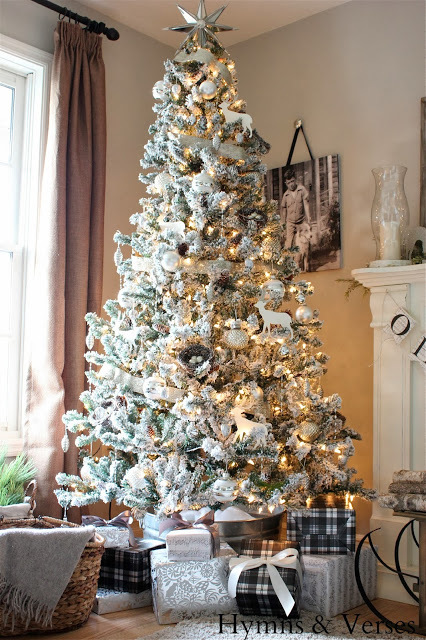 If you like the look of a flocked Christmas tree, but not the high price tag, this is the tree for you! This tree is from Walmart and is really so much nicer than you would think for the price of just $149! They usually have sales on their trees on black Friday, so the price could be less then! The tree has a nice shape, is flocked well, and even has pinecones wired to the branches. I’ve used this tree for several years and love it. Here it is Christmas 2013! 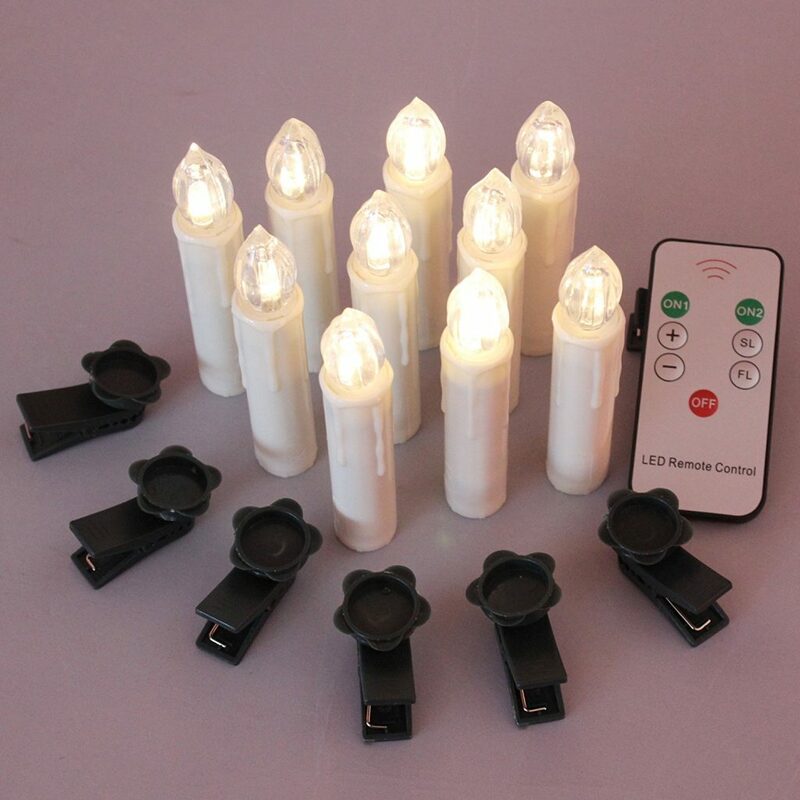 Set of 10 battery operated candle clip lights with remote control for $23. I’m not sure which ones I want to get yet. 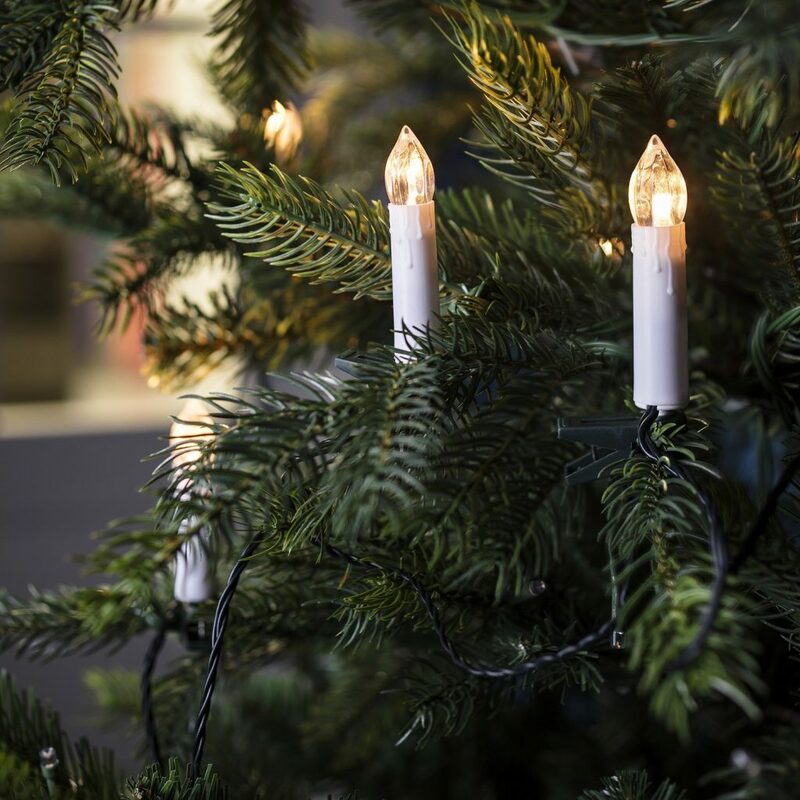 Obviously if I am going to use the lights on my main, larger tree, I will go with the set of 50 that has the cord. But, if I use them on a small tree or my goose feather tree, then I would get the smaller, battery operated set. This is another favorite of mine! I used to do some needle felting and made little wool creatures. This was before my days of blogging. Over the years I’ve found that some things I’d rather just purchase than make myself. That’s the case with a felted wool pom pom garland – especially when you can get it for such a great price. 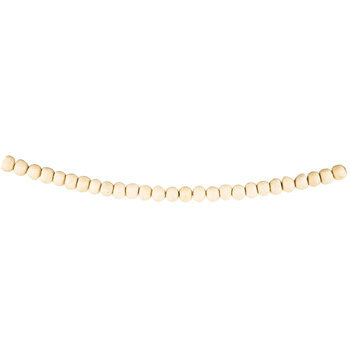 This one from Hobby Lobby is ivory and is a classic that will stand the test of time and work with any color scheme! I love the traditional, hand crafted look of this garland! Drape it over a mirror, drape it across your mantel, over a window, on the tree . . . . you get the idea! A wool pom pom garland is so versatile! Last year I custom ordered felted wool pom pom balls in specific colors from Etsy seller, TaDaaStudioFelt. The quality was so good and they arrived quickly. Once they came, I used a large needle with thin twine and threaded my own garland. I used red, gray and white (poppy, pebble, gardenia). You can see the garland in the photo below! The town of Lititz where we live is a Moravian community. 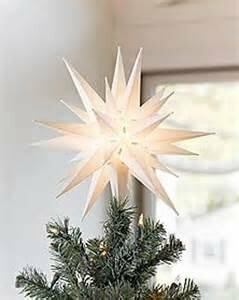 At Christmastime, almost every home on Main Street has a glowing Moravian star hanging above the front door. When we first moved here, I had to have one too. 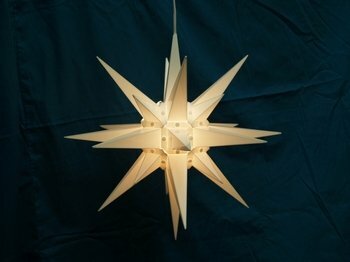 Of course, it’s not hard to find a Moravian Star in Lititz – most of the retailers in town carry them! But, I thought I’d share a few sources for these beautiful stars. That’s all of the Christmas decor for today. I’m already a day late with my favorite things – so I don’t want to delay getting this out to you. Thanks so, so much for all of the amazing birthday wishes! I was so touched to read each and every one! Thanks for entering the birthday giveaway! 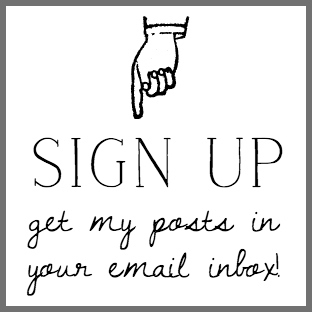 And, don’t forget to share it with your friends! I’ll be back this week to share the reveal of my office and more! Looking forward to seeing your Christmas Home this year! Thanks for the links to the beautiful decor. Love your decorating ideas. Looking forward to all the Christmas post! 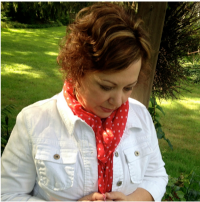 Thank you for these suggestions, Doreen! I bought some clip-on candle lights last year, but I didn’t know they made corded strands. Those are awesome! Your trees are always so beautiful. 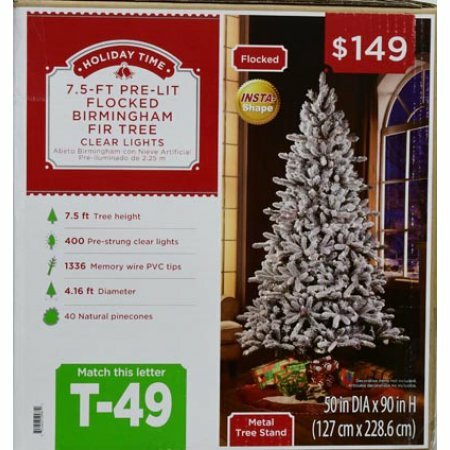 I’m amazed that you got your flocked tree at Walmart–just goes to show that you don’t have to spend huge bucks to get beauty.